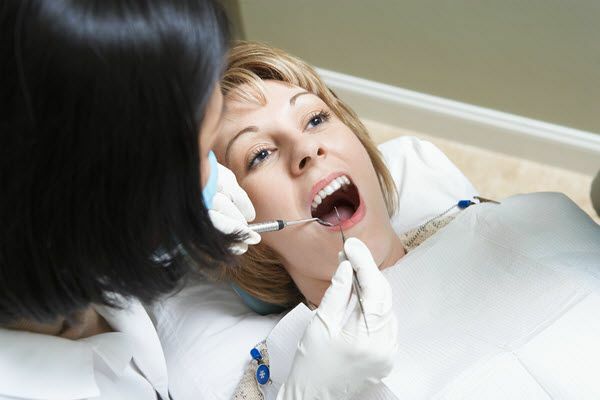 What Types of Services Does a Dentist in South Jordan Offer? There are various types of dentists in South Jordan, and a general South Jordan dental professional is one of them. This type of South Jordan dentist can be affiliated with a local hospital or operate independently in a private dental clinic anywhere within South Jordan. Whatever the setup is, general dentists often attend to people’s common dental needs. In this article, you will know what a general dentist is and what services they offer in South Jordan, UT. A general dentist is the primary dental care provider for most people. The one who conducts regular or annual dental checkups and the first one who’ll come to mind if you’re feeling a bit of discomfort or any dental concerns. A general dentist manages your overall oral health care needs. Often they are the only dentist you need for minor dental problems like tooth decay and tooth loss. They’re your all-around dental care provider who can take care of minor dental problems. If you have advanced health problems that are the root of minor dental issues, your general dentist may refer you to a specialist still found within South Jordan. The training of a general dentist goes through similar training that specialized dentists will. Typically, a general South Jordan dentist needs to finish a bachelor’s degree before entering a dentistry school, but the requirements vary according to their schools dental program. Dental school programs involve training in anatomy, periodontics, radiology, and local anesthesia. These are the core competencies that a dentist needs. All dental schools require a clinical experience before graduation. This is where the students will work directly with a real patient under the observance and supervision of a licensed dentist. Before practice, dentistry graduates need to pass the Utah dentistry license examination. 1. Diagnosis. A general South Jordan dentist can also diagnose early and advanced dental problems. This is including tooth decay, gum disease, and damaged pulp. Diagnosis is the first step to treatment, which is why regular checkups with a general dentist are important. 2. Treatment. A general dentist in South Jordan will also administer timely and appropriate treatment for your dental problem. General dentists in Utah have the proper equipment and skills to deliver treatments safely and efficiently. They are also allowed by the state (if they have gained proper permits) to administer anesthesia for procedures that require it. South Jordan general dentists can offer treatment for a wide range of tooth problems like tooth pain, teeth whitening, gum disease, missing teeth, drastic teeth loss, and dental trauma. Some can also perform cosmetic procedures. 3. Preventive education. All dentists are also required to educate their patients on how to prevent dental problems. A general South Jordan dental professional will educate you on how to avoid tooth decay both in adults and children, how to avoid gum disease, what to do in case of dental emergencies like a knocked-out tooth, and many others. The rigorous training of a general dentist assures you of their expertise and skills in providing adequate dental health care. The services of a general dentist are often everything you need to maintain proper dental health throughout your lifetime. To get the best possible dental health care, work with a competent and caring dentist in South Jordan, Utah ready to serve your needs.